Gastropub is a term that I feel is loosely used in big cities like Austin. Everyone wants to carve out their niche and make their restaurant unique, but simply serving fish and chips along with beer, doesn’t make a gastropub. A gastropub isn’t just a pub that has local beers, it should also have an extensive selection of cocktails and serve delicious food made with local ingredients. The best gastropubs, to me, will extend a one two combo of culinary nibbles and comfort, then knock you out with value. Porter Ale House on south first lives up to that definition. The ambiance I was hit with was a casual cultivation that made me feel relaxed when I stepped in the door. The convivial atmosphere offered a setting that allows pals to pull up a chair and share several dishes and snacks, not to mention beer! 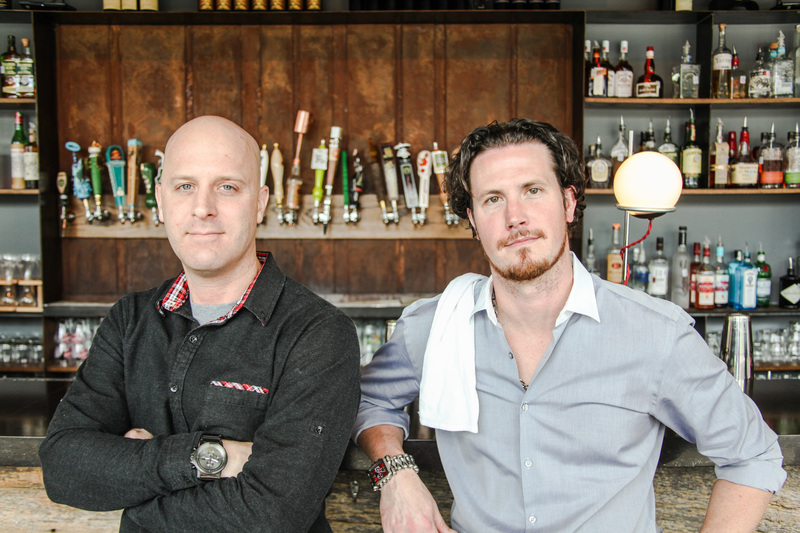 After working in New York and developing their own style, Joe Bixel and Neil Joiner brought their own style to Austin, teaming up with partner Trevor Lane in 2013, bringing a good spirit to the community. Porter Ale House keeps local alive by supporting locally crafted beers (their beer list has surpassed 250 beers only recently) and daring to be bold by serving up seasonal brews, like Sweet Delight by Infamous Brewing, a peanut butter stout, and Twisted X Fuego, from Dripping Springs TX, a jalepeno pilsner. Their beer menu rotates with the season and it offers so much for the bored beer enthusiast. Their carefully handcrafted cocktail menu also has great things to offer with drinks like the Dollywood, a delightful mix of Knob Creek Maple, grapefruit and spices and their take on a Pimm’s Cup incorporating Solerno, a blood orange liqueur, and basil instead of mint is just as crisp as it sounds. Porter Ale House brings comfort and family dishes to the game, like Bixel’s own take on his grandmothers recipe for pierogies, served with a dill sour cream sauce and a concoction called Buraki, that kicks you in the head with horseradish before finishing with the fantastically relieving sweetness of beets. It’s clear they offer better than the standard “pub grub” but now they have even more to share on the weekends for brunch, which isn’t something you see a gastropub doing often. They sling brunch every weekend from 10:30am-2:30pm Saturdays & Sundays, with items like Croquet Madame, which is everything you love about breakfast in one bite served with a beer cheese fondu. Their rendition of Chicken and Waffles served with a curry sauce all nestled on a bed of arugula was a retreat from typical and the underrated Sweet Potato Hash is sweet and savory and absolutely perfect with the free mimosa they extend to everyone who comes to enjoy brunch with them. It was a cozy day at Porter House Pub and I can’t wait to get that feeling back. They not only made my meal satiating, they made it a ceremony, right down to the coffee presentation.